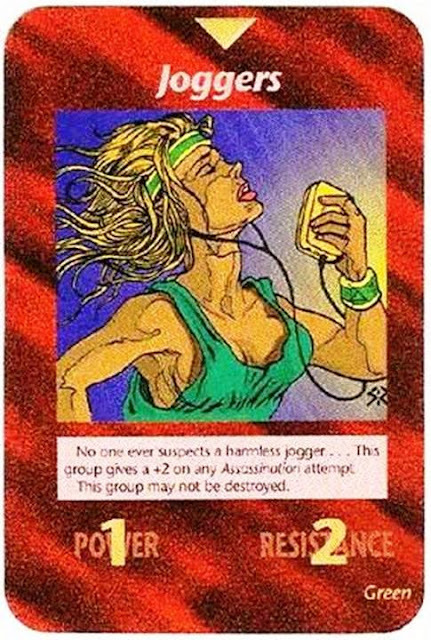 Still remember the 'Illuminati Card Game 1995'? The standalone card game made by Steve Jackson Games (SJG), inspired by The Illuminatus Trilogy by Robert Anton and Robert Shea. The game has ominous secret societies competing with each other to control the world through sinister means, including legal, illegal, and even mystical. Yes, that game, released in 1995, showing many images of disasters, happened after 1995. No one suspect a harmless jogger! Too many events were already predicted in one of the cards, again coincidence? I was wondering if there would be a card for this. This card game is going to put Tarot cards out of business. Wow this is nuts, truly unbelievable. Secret groups out there are using this game in the real world to score points. I reckon other future events can be predicted through other cards in this illuminati set. Has anyone taken time to research them and look for clues to past and possible future events I wonder.